Pest description and damage Rose leafhoppers are small, active, whitish-green insects which run backwards, forwards or sideways when disturbed. 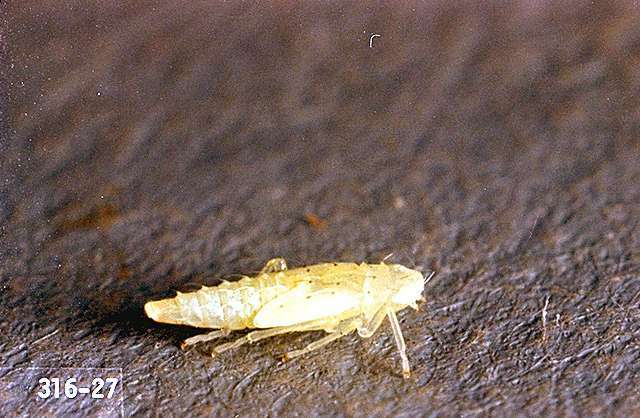 The nymphs (immature) are white with red eyes. 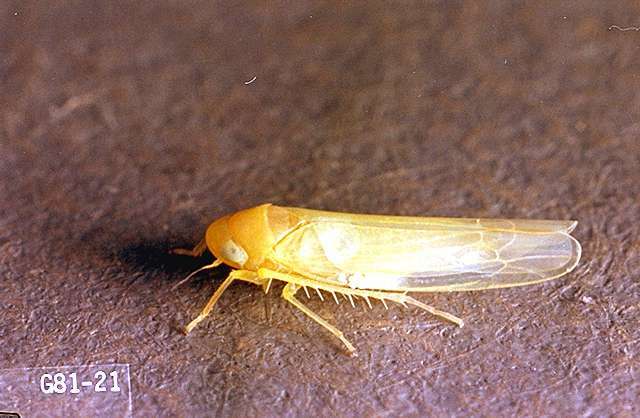 Rose leafhoppers feed on the leaves, causing white or pale blotches that resemble, but are larger than, spider mite stippling. Injured leaves may drop prematurely. The egg-laying in the fall also wounds the canes, providing entry points for fungal pathogens. Cast skins can be found on the underside of leaves. Leafhopper damage is mostly aesthetic though there are occasional outbreaks.